Calling all horse lovers - Here's your opportunity to own an established huge 2.33 acre horse property! 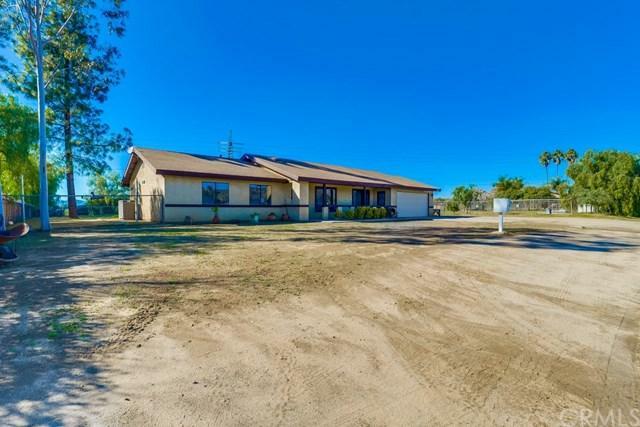 This massive parcel features a 3 stall barn w/ hay and tack storage, plenty of room to add additional corrals, water run to many locations, and is flat and usable. The living quarters offer a 3 bedroom, 1.75 bathroom open floor plan spanning a generous 1,804 square feet. 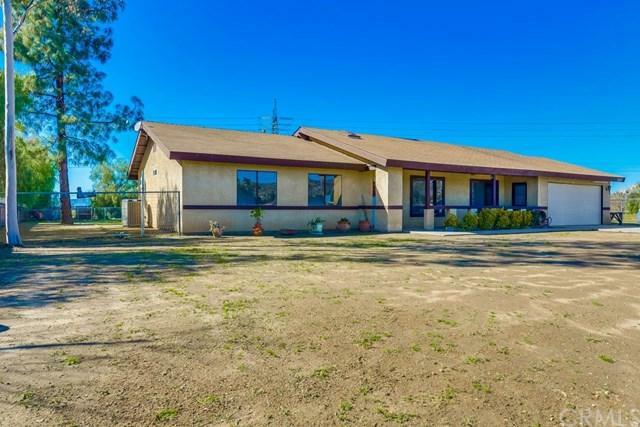 The master suite w/ attached bath offers a walk in closet, huge tile shower w/ dual shower heads, dual vanity w/ upgraded fixtures, an Calling all horse lovers - Here's your opportunity to own an established huge 2.33 acre horse property! 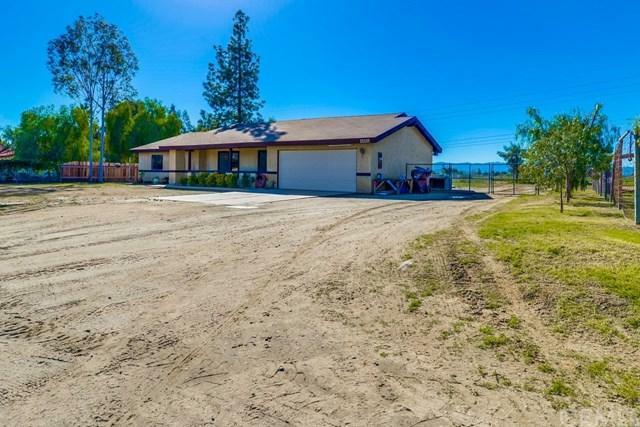 This massive parcel features a 3 stall barn w/ hay and tack storage, plenty of room to add additional corrals, water run to many locations, and is flat and usable. The living quarters offer a 3 bedroom, 1.75 bathroom open floor plan spanning a generous 1,804 square feet. The master suite w/ attached bath offers a walk in closet, huge tile shower w/ dual shower heads, dual vanity w/ upgraded fixtures, and beautiful tile flooring. The 2 additional bedrooms have plenty of closet space and perfect for the growing family. The 2nd bath has new flooring, new tub enclosure, new vanity and fixtures, and is perfect for the kids. There are two distinct living areas w/ plenty of room to spread out and the vaulted ceilings add to the open feel of the floor plan. The wood burning fireplace w/ gas option is wonderful for the winter. The horseshoe shaped kitchen has plenty of cabinet storage and counter space and the windows offer amazing natural light. Throughout the living areas you will find upgraded plank tile flooring and high grade carpet. The possibilities are endless so bring your horses and RV's as there's plenty of room for both. 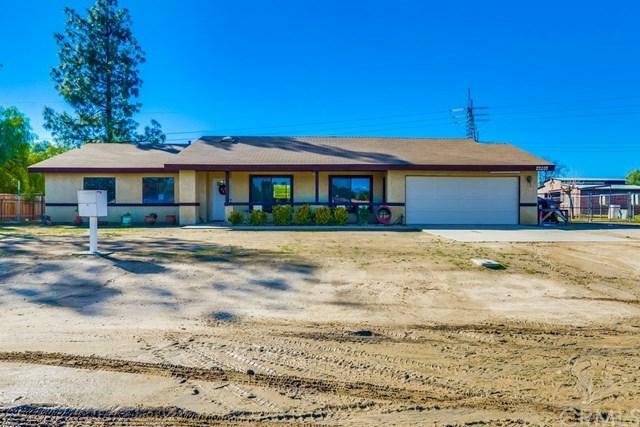 Centrally located and easy freeway access make this one a great option. Listing provided courtesy of Allison James Est. & Homes. Listing information © 2019 San Diego MLS, Inc.